When martial law ended on 15 July, 1987, people began the fraught and intricate task of speaking truths silenced by Taiwan’s coercive state. Thirty years ago on 15 July, 1987, the president of Taiwan, Chiang Ching-kuo, son of Chiang Kai-shek, announced the end of the 'Temporary Provisions Effective During the Period of National Mobilisation for Suppression of the Communist Rebellion'. The following day, martial law on Taiwan was lifted after thirty-eight years. The Temporary Provisions were enacted under the constitution of the Republic of China in 1948 on mainland China, brought to Taiwan when the Chinese Nationalists had relocated the national government to Taipei in 1949, and extended indefinitely by the government in 1954. Martial law enabled the establishment of specific institutions of Taiwan’s pervasive and violent security state, such as the Garrison Command, which carried out the detention, torture and murder of dissidents. It instituted the militarisation of education and the control of free speech. Even the number of pages of daily newspapers was restricted under its provisions. The end of martial law in 1987 came after three decades of explosive economic growth, the progressive loss of Taipei’s international status, and a resurgence of political activism from the late 1970s. Activists founded the Democratic Progressive Party in 1986, at the time an illegal act. After martial law ended, the Taiwanese government immediately legislated the National Security Act, which replicated many of its state powers in the face of ferocious public opposition. It was five years later, in 1992, that a fractious constitutional convention enabled constitutional reform that led to the first multi-party democratic presidential election in Taiwan in 1996. The lifting of martial law was only one moment among many on Taiwan’s path to democracy, but it coincided with other democracy movements in Eastern Europe, East Asia and Latin America, the so called Third Wave of democratisation at the end of the Cold War. Taiwan powerfully affirmed a particular narrative of modernity, in which market liberalisation leads to rapid economic development, which in turn leads to political liberalisation and to the end-point of a liberal democracy. In 1987, symbolically at least, Taiwan arrived, to use Fukuyama’s much-debated phrase, at the end of history. Needless to say, democratisation in Taiwan was never a natural outcome of its rapid economic development and modernisation. It was the result of the years of struggle and unimaginable courage of Taiwan’s democracy activists. 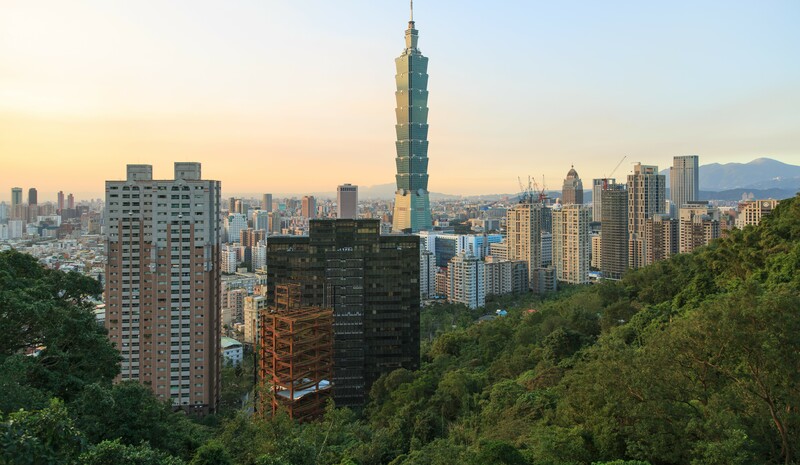 Furthermore, in the decades since the lifting of martial law, it has become apparent that democratisation was not a destination for Taiwan, but a starting point. In authoritarian societies, citizens learn from an early age to demarcate sharply between the private and the public spheres, of what can be said and what must be held secret to survive or even prosper. When martial law ended, that boundary in Taiwan cracked. People began the fraught and intricate task of speaking truths silenced by Taiwan’s coercive state. This process has not always been edifying or righteous in Taiwan’s partisan and noisy public life and under the looming shadow of another authoritarian state across the Taiwan Straits. But it has not only been sustained since 1987, in recent years it has intensified. In the 1990s, it was most apparent in public debate about the 2-28 Incident, the uprising by the Taiwanese against the Chinese Nationalists that began on February 28, 1947 and which was crushed by Nationalist forces at the cost of tens of thousands of Taiwanese lives. To speak of this violence was forbidden during the martial law period, but after 1987 it came back into public discourse in a vast surge of angry and pained writing and speaking. In 1989, Taiwanese filmmaker Hou Hsiao-hsien released his monumental work City of Sadness, which addressed 2-28. In 1997 February 28 became a national day of commemoration. By the late 1990s, the memorialisation of 2-28 stood in for the memorialisation of the entire martial law period. In the last decade, the weight of memory has coursed into every part of Taiwan’s public life. In contemporary culture, there is today a singular focus by many Taiwanese artists on questions of memory and subjectivity in the context of families and individuals broken across generations by political violence. The legacy of authoritarianism has been institutionalised by the DPP government of Tsai Ing-wen in the formation of a Truth and Reconciliation Commission, charged with examining the juridical and political questions of transitional justice. It can be seen in the enormous investment by the Taiwanese government in recent years in museums and memorials, such as those of the former prisons for political dissidents on Green Island and the Jingmei Human Rights Museum, and of state-funded memory projects like Story Taiwan. The new generation of political activists who initiated the Sunflower Movement in 2014 self-consciously connected their actions and commitments to democracy activism of the martial law period. The labour of remembering has also been taken up by second and third generation Taiwanese diaspora in their political and cultural lives. The end of martial law in Taiwan in 1987 was one moment in the realisation of democracy in the late 20th century for many places around the world. But its true measure is the assiduous work since by many Taiwanese within Taiwan and globally to understand what came before it. Its lesson is that thirty years on that undertaking may have only started. Despite incidents of violence, opinion on all sides has increasingly converged towards a peaceful resolution to end the ongoing strife in Afghanistan.